There is a relatively safe and sane spiritual walk for the Christian, and God's love is the source. 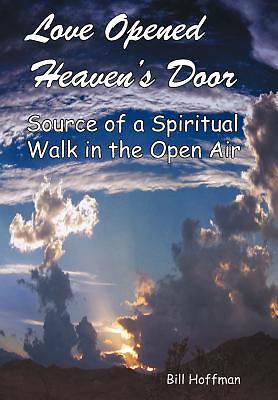 This book brings good teaching from a variety of teachers/writers, and an outpouring of love, sense and sensitivity, forgiveness and acceptance in the Christian walk. God the Father, in methods past, has revealed His personality in all its fullness in His Son. The life of Christ is the source for a spiritual walk in the open air without surrender to mystery. Our Christian philosophy should be consistent with reality, make sense, and be practical. Dr. Alva J. McClain has written this clearly, and his statements are a part of this book. Disillusionment feeds on the word "allow," because it implies that God is the cause or authority behind all events. Pastor-author Rick Warren makes a powerful statement quoted in this book about evil and its real cause. What are some of the causes of good and bad things? Does God allow accidents, sickness, and evil? "Christianity does not begin with walking: it begins with sitting," wrote Watchman Nee. This book starts with the sitting-place in the Christian's permanent home with Christ.